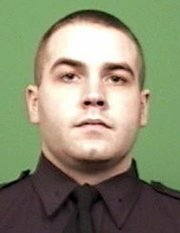 A violent crash killed one NYPD officer and injured 8 others early morning Sunday in the Bronx. The police officers from the 47th Precinct in the Bronx were on their way to assignments for the Climate March in Midtown Manhattan when the driver of the van lost control of the vehicle in a sharp turn on the Bruckner Expressway and hit a barrier. 25 year old Michael Williams was ejected from the van onto the highway and died several hours later at the hospital. 8 other police officers suffered non life threatening personal injuries. Investigators looking into the circumstances of the accident will determine at what speed the van was going when it approached the turn and if officers were wearing seat-belts as required.